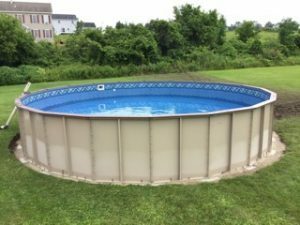 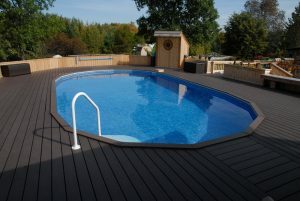 Looking for a unique steel structured pool? 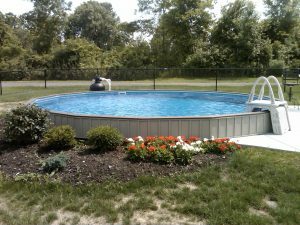 Look no further than our Ultimate Aboveground Vinyl Liner pool which can also be buried partially or fully in the ground! 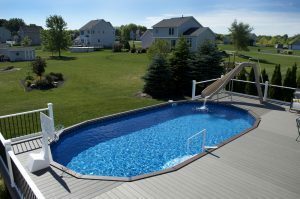 Lifetime warranty* on the pool structure! 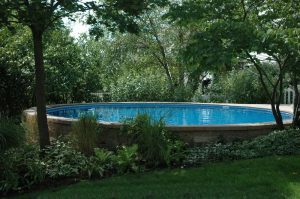 Create a fabulous inground pool look for far less than a true inground pool – very budget friendly! 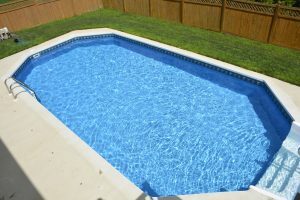 Tuck them into a hillside or bury them fully in the ground – the choice is yours! 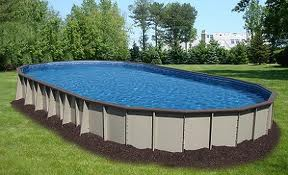 Leave them fully above the ground, tuck them into a hillside or bury them fully in the ground – the choice is yours! 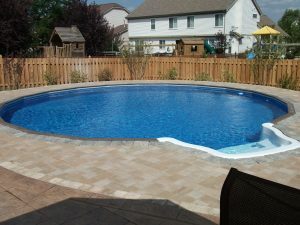 Come see our Ultimate Pool in our Show Garden!